Fresno boy mauled to death by Rottweiler dogs (pictured). Screen shot via KFSN. 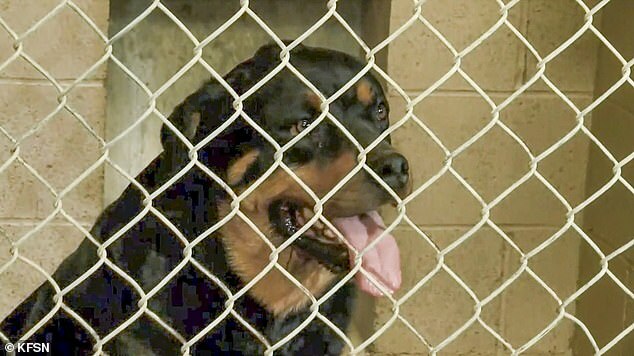 Fresno boy mauled to death by neighbor’s two Rottweiler dogs after the animals digging a hole under a fence and escaping. No charges expected against dog owners. A one-year-old Fresno, California boy has died after being mauled to death by two Rottweiler dogs. The child had got out of the house and was in the front yard when two dogs that ran away from a neighboring home attacked him around 11am on Friday. The boy’s grandmother ran to get the child away from the attacking dogs- only to be bitten by one of the canines. 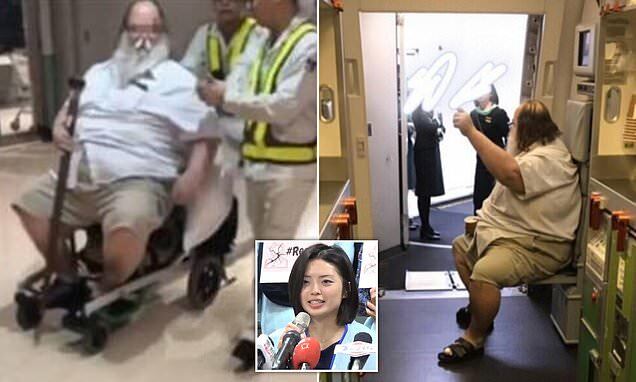 Then the grandfather of the child came out of the house to help and successfully stopped the dogs by whipping them with a pipe hose, according to ABC. Police were called to the scene and performed CPR on the boy. He was taken to Community Regional Medical Center and pronounced dead. 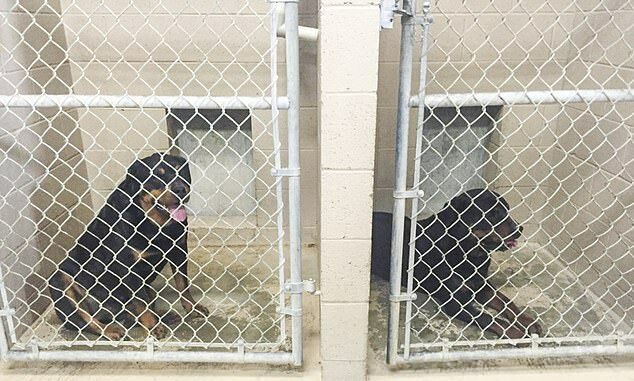 The two Rottweilers were captured at a home about a block and a half from where the incident took place and taken to Central California SPCA and were euthanized later that day. Fresno boy mauled to death. Pictured one of the two Rottweiler dogs. Fresno boy mauled to death by Rottweiler dogs: Escaped after digging hole in fence. Investigators say the dogs got to the boy by digging a hole under the fence, running through a neighbors yard and ended up at the home of the child. Neighbors described the dog owners as ‘good and friendly people’. Neighbor Theresa Davis says the dogs have been in the neighborhood for years. Told Davis, ‘I said, “oh my god, this is horrendous, these dogs have been in our neighborhood for eight or nine years’. The dogs lived in the home behind her and had a history of digging themselves out. ‘Just primarily on the back fence, they’ve come out the side gate of their property, and recently discovered that hole a couple of days ago,’ Davis said. It wasn’t clear if the dog owners had been mandated to cover the hole. Animal Control officers said they had no record of complaints against the Rottweiler’s owners. It was not understood if the animals had previously shown signs of aggression and what made them ‘snap’. Neighbors say the community is grieving for both families. ‘Just thinking about the little boy, the baby losing its life… it’s a tragedy. Anybody with a heart would get teary at least,’ neighbor Arcelia Ruiz said to ABC. No criminal charges are pending against the dogs’ owners.